In computing, data recovery is a process of salvaging (retrieving) inaccessible, lost, corrupted, damaged or formatted data from secondary storage, removable media or files, when the data stored in them cannot be accessed in a normal way. The data is most often salvaged from storage media such as internal or external hard disk drives (HDDs), solid-state drives (SSDs), USB flash drives, magnetic tapes, CDs, DVDs, RAID subsystems, and other electronic devices. Recovery may be required due to physical damage to the storage devices or logical damage to the file system that prevents it from being mounted by the host operating system (OS). The most common data recovery scenario involves an operating system failure, malfunction of a storage device, logical failure of storage devices, accidental damage or deletion, etc. (typically, on a single-drive, single-partition, single-OS system), in which case the ultimate goal is simply to copy all important files from the damaged media to another new drive. This can be easily accomplished using a Live CD or DVD by booting directly from a ROM instead of the corrupted drive in question. Many Live CDs or DVDs provide a means to mount the system drive and backup drives or removable media, and to move the files from the system drive to the backup media with a file manager or optical disc authoring software. Such cases can often be mitigated by disk partitioning and consistently storing valuable data files (or copies of them) on a different partition from the replaceable OS system files. Another scenario involves a drive-level failure, such as a compromised file system or drive partition, or a hard disk drive failure. In any of these cases, the data is not easily read from the media devices. Depending on the situation, solutions involve repairing the logical file system, partition table or master boot record, or updating the firmware or drive recovery techniques ranging from software-based recovery of corrupted data, hardware- and software-based recovery of damaged service areas (also known as the hard disk drive’s “firmware”), to hardware replacement on a physically damaged drive which allows for extraction of data to a new drive. If a drive recovery is necessary, the drive itself has typically failed permanently, and the focus is rather on a one-time recovery, salvaging whatever data can be read. In a third scenario, files have been accidentally “deleted” from a storage medium by the users. Typically, the contents of deleted files are not removed immediately from the physical drive; instead, references to them in the directory structure are removed, and thereafter space the deleted data occupy is made available for later data overwriting. In the mind of end users, deleted files cannot be discoverable through a standard file manager, but the deleted data still technically exists on the physical drive. In the meantime, the original file contents remain, often in a number of disconnected fragments, and may be recoverable if not overwritten by other data files. The term “data recovery” is also used in the context of forensic applications or espionage, where data which have been encrypted or hidden, rather than damaged, are recovered. Sometimes data present in the computer gets encrypted or hidden due to reasons like virus attack which can only be recovered by some computer forensic experts. Data recovery refers to the restoration of data retained on a medium when data is lost for various reasons. Even if the data is deleted or the hard disk fails, the data may be lost without damage if the media is not seriously damaged. Data loss caused by formatting or accidental deletion, most of the data is still not damaged, as long as the software is used to restore the connection link, the data can be reread. If the hard drive is inaccessible due to hardware damage, you can recover the data by replacing the failed part. However, when the media is severely damaged or the data is overwritten, the data will be extremely difficult to recover. Data recovery can be for file recovery, data recovery for recovering physical damage disks, recovery of data for different operating systems, data recovery for different mobile digital memory cards, and the like. 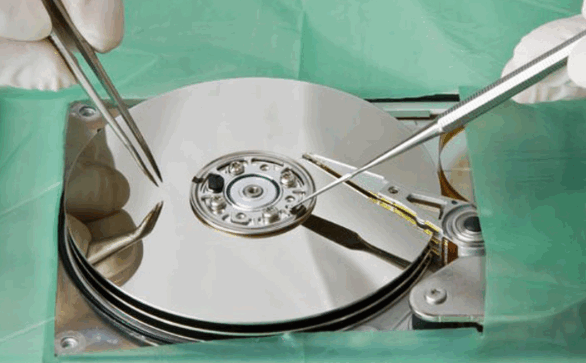 Data recovery is a remedy after a problem, neither a preventive measure nor a backup. Therefore, in some special cases, data will be difficult to recover, such as data coverage, low-level formatting, and disk disk damage.